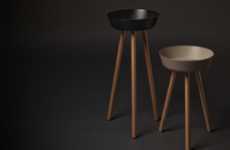 Kale by Mario Ferrarini is a stool and table that features a simple silhouette. 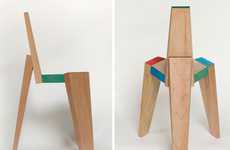 Shaped like a short pedestal, this piece of furniture is sleek and sophisticated. 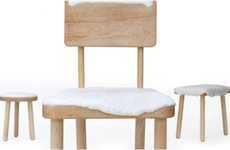 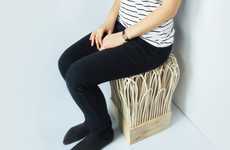 It has a predominantly white aesthetic with a pop of color used for the seat cushion. 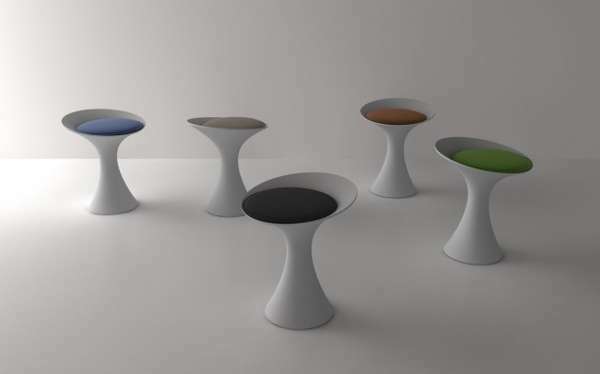 Designed for Italian furniture manufacturer Living Divani, Kale by Mario Ferrarini has a sculptural aesthetic that makes it beautiful to behold rather than boring, even though the overall design is minimalist. 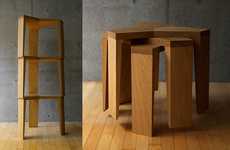 There is a dynamic dimension present in the upper portion of the Kale stool and table, which makes it appear as though it is slanting forward. 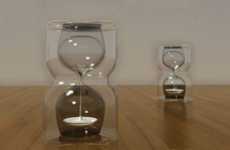 It is available in various colors including blue, green and black. 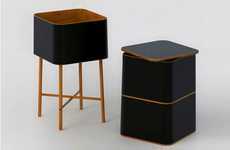 Kale by Mario Ferrarini was unveiled at Salone del Mobile 2012 in Milan.